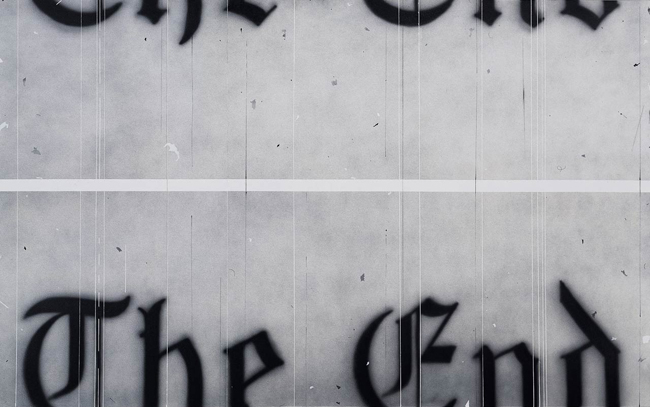 Ed Ruscha, The End, 1991, acrylic on canvas, 70 H x 112 W (inches). Source: edruscha.com. This painting functions quite nicely as a coda to our recent post, A Fine Ending: 1950s movie end titles.